Grow Fragrance is a modern air+fabric freshener made from plants. It’s a B-corp company, which means it balances purpose and profit, is legally required to consider the impact of their decisions on employees, customers, suppliers, community, and the environment. They use business as a force for good. Grow Fragrance donates 1% of sales to 1% for the Planet, an organization which works to protect the environment. It manufactures in the USA and only works with organizations that pay fair wages and offer good benefits. Grow Fragrance products are made from 100% plant-based ingredients (based on a test by the USDA), have ingredient transparency on the product packaging and the website, and the products are toxin-free (no phthalates, parabens, or petroleum and synthetic petrochemicals). I received three air+fabric refreshers in Apple Pomander, Citrus Cedar, and Bamboo. The packaging was protective and recyclable and looked pretty. 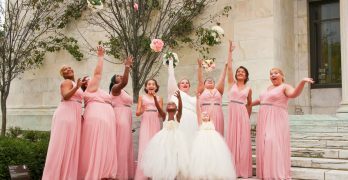 The bottle is easy to use: unlock the bottle, shake it, prime the trigger a few times and a fine mist releases—there is no aerosol propellant. 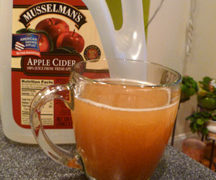 The scents are natural, fresh, long-lasting (8+ hours in some uses in my experience), and pleasing. I was able to spray in rooms and on my sofas and pillows with no problem or staining—always test just in case. I sprayed in my son’s sneakers, too. The bottle fits in my hand nicely for spraying and the trigger releases easily with one finger. For my personal use, it was ergonomic. I love all three of the fragrances, and the Citrus Cedar is my favorite with a little bit of a spice scent. The Apple Pomander is the perfect autumn fragrance. Bamboo has a crisp clean green scent. None of them irritated my asthma–that means a lot about the product to me. The fragrances are not overwhelming, but it really amazed me how long they lasted. I left for a while and came back home and could still detect the scent I had sprayed earlier in the day. The simple design of the bottle can be kept at the ready in a bathroom or kitchen and look nice on a counter or shelf. I like the lock mechanism, but I would still keep it out of reach of children and pets. The bottle is recyclable. Grow Fragrance air+freshener is the perfect solution for the eco-conscious consumer who wants a natural way to freshen the air or fabrics, and even sneakers. As a mom, I love that it’s a safer alternative which works as promised by leaving a long-lasting scent which smells clean and natural. 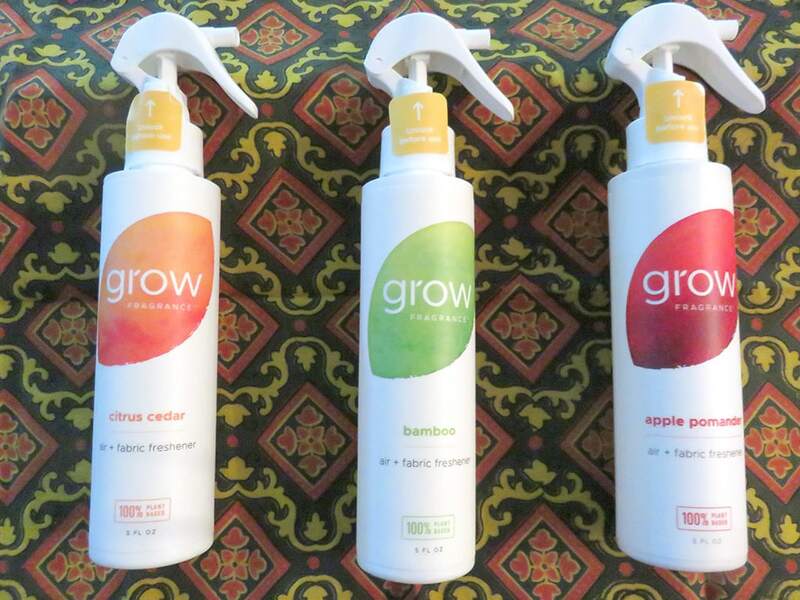 To learn more about this modern air+fabric freshener made from plants, and to shop their available air-freshener scents, visit the Grow Fragrance website at www.growfragrance.com. 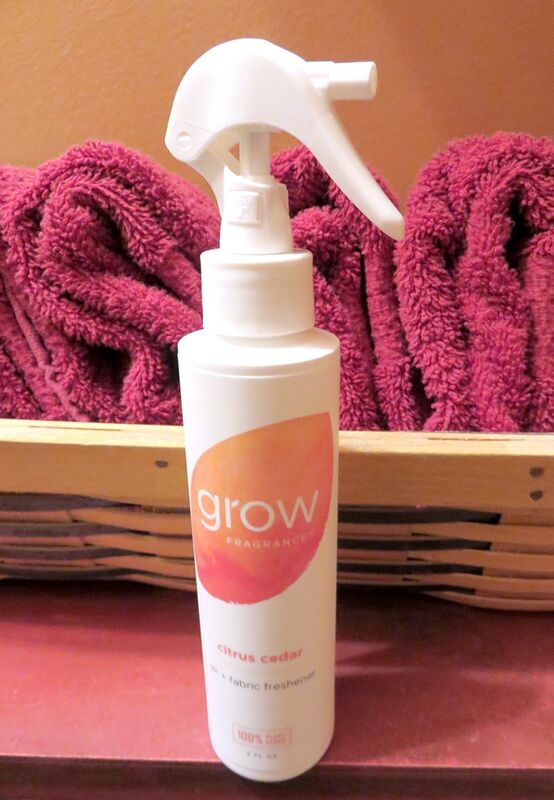 Each 5oz bottle of Grow Fragrance has over 500 sprays and retails for $12. 2 oz bottles are $7 and hold over 200 sprays. 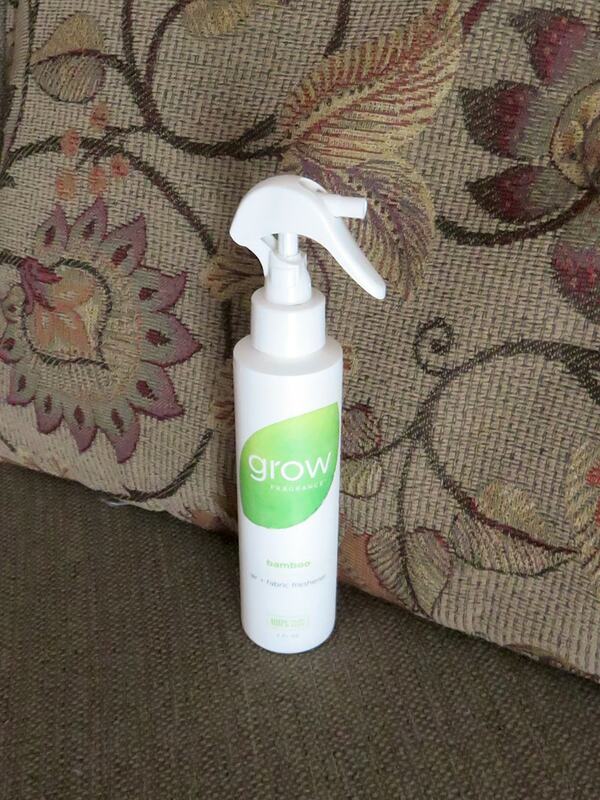 You can also find a selection of Grow Fragrance products on Amazon. Which Grow Fragrance air+fabric freshener scent will you try first – Lavender Blossom, Citrus Cedar, Bamboo or the limited edition Apple Pomander? All of those scents sound amazing! I really like that these are plant-based. Safer for the home and for the dogs.